Peace Lutheran a growing congregation of the Evangelical Lutheran Church in America, yet it has a history dating back almost seventy years. Organizers originally met on September 28, 1945 when seven Tomah area residents met with Pr. Clarence Solburg of the Evangelical Lutheran Church of Sparta. The American Lutheran Church of Tomah was organized shortly after, and the first sanctuary was a rented facility on the corner of McLean and Council Avenues. The first church service was held on October 12, 1945 with Pr. Solburg presiding. Guest pastors from other congregations served the community until Pr. Norman A. Nelson was called to serve and was installed on May 26, 1946. The first baptisms occured that same year. The first girl baptized was Sandra Kay Pederson in June 1946, and Bruce Yates was the first boy baptized later that year in October. Bruce remains a member of Peace Lutheran. He and his wife Lori were one of the charter families in 2010. The congregation was officially organized on July 11, 1946 as American Lutheran Church, and at the time of the church’s first anniverary on October 13, 1946 it had grown to thirty families totalling ninty-eight members. Groundbreaking for the new church was held on June 6, 1948 at the corner of Superior and Nott which was dedicated on November 28, 1948. The first worship service was held on December 23 of that year. The congregation’s fifth anniversary celebration was held on September 30, 1951, after Pr. Nelson had taken a call at another congregation. On September 6, 1964 another groundbreaking ceremony was held as construction started on a new church located on Elizabeth Street. On January 19, 1965, the congregation voted to change its name from American Lutheran Church in Tomah to Gloria Dei Lutheran Church. One year later, the cornerstone of the new building was laid, and the new church was dedicated. Through the years the congregation has helped teach future pastors by welcoming a total of nine seminary interns. Peace Lutheran looks forward to continuing that tradition in the future. By 2010, Gloria Dei was heading in two different directions, and the difficult decision was made to form two separate congregations. 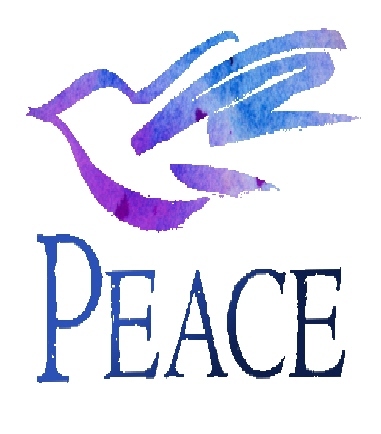 Peace Lutheran was organized as a part of that process and proudly remains affiliated with the Evangelical Lutheran Church in America while Gloria Dei would affiliate elsewhere. Peace Lutheran welcomed its first minister Pastor Susan Sheffer-Meyer in June of 2010 and celebrated its first worship service on July 4, 2010 in the First Congregational United Church of Christ’s sanctuary. In January 2011, Peace Lutheran Church began the chartering process to become a Mission Congregation of the Evanegelical Lutheran Church in America and was received into the La Crosse Area Synod at its Synod Assembly on Sunday June 12, 2011 in Decorah, Iowa. Within its first year as a congregation, Peace Lutheran quickly outgrew the worship space of First Congregational United Church of Christ and purchased a property on West Warren Street on the north side of Tomah. Rally Sunday on Septeber 11, 2011 marked the first worship service in Peace’s new home. Our members remain as active in community as the founding members did in 1945. Today we continue to play a role in the Tomah Community Table, volunteer our time and talent in the ongoing Haiti medical mission and serve our community through Faith in Action and Habitat for Humanity. Peace maintains a close bond with Sugar Creek Bible Camp, the ELCA outdoor ministry located in Ferryville, Wisconsin. Peace said goodbye to Pastor Sheffer-Meyer during the summer of 2014 and was ready to take the next step as a growing congregation.